christmas candy to b won at down the memory lane! 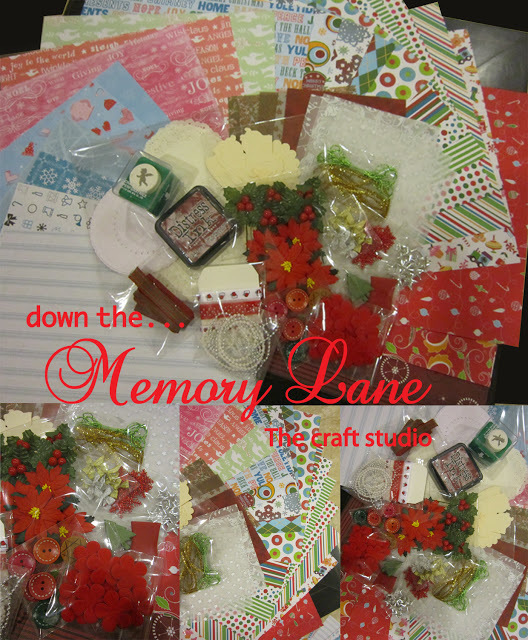 christmas candy to be won at down the memory lane Try your luck! It's sooo much of fun in our blogland always:) With the spirit of festivities lots of challenges to enhance your skills with fun!! 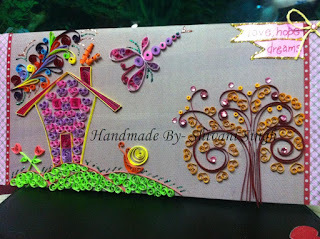 I have used creame pattern paper as a base. 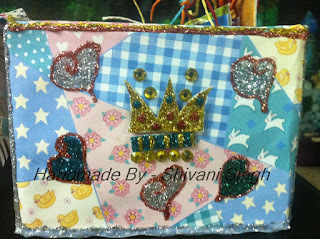 Above to it you can find lot of pattern papers! These are handmade flowers. I have used a pattern paper and a balloon punch to make it. 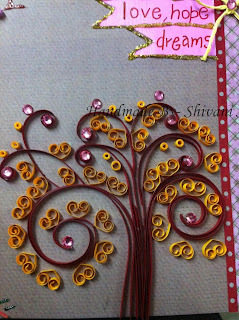 Apart, I have made a Quilled flower with single shaded graduated quilling strips from pidilite. 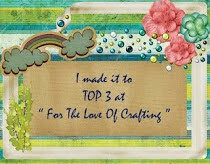 ( I loved working on them!) 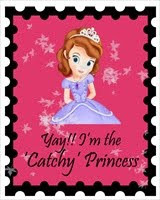 Butterflies are from ITsy BiTSy cut outs...I tried to do a lil punching over it and I belive it worked out well. 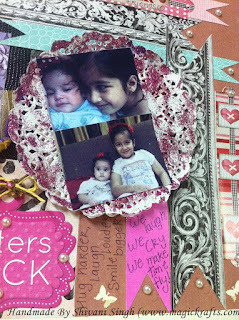 So here are my cutipies. Above pic was clicked when my lil one was just few days old and I simply loved the expressions of my elder one!! 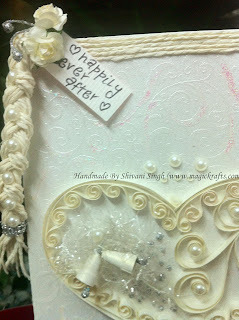 To make a base....I worked with lot of pattern papers...cut them out in ribbon strips. 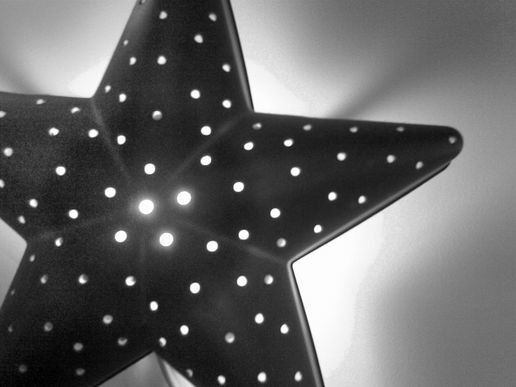 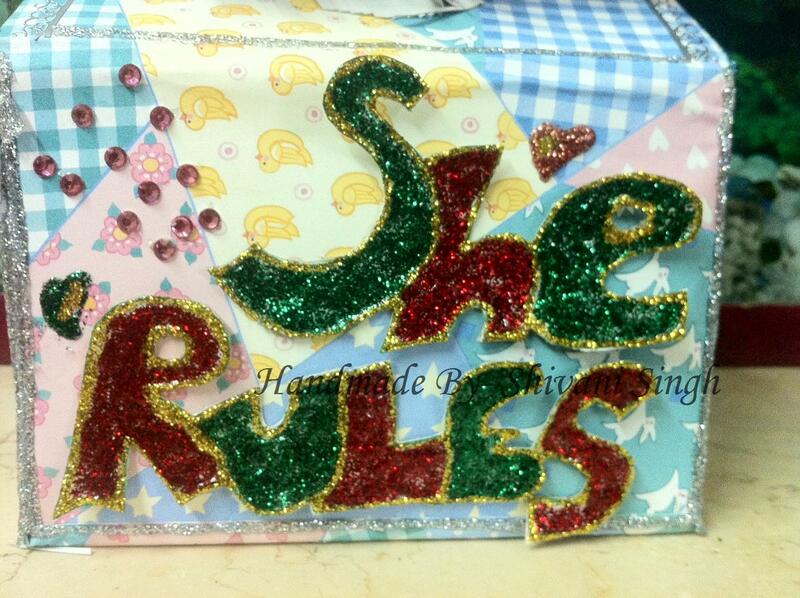 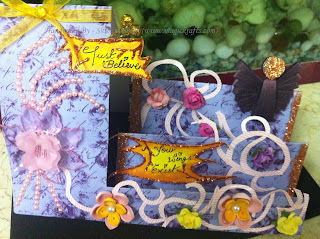 Put a paper dolley over it and then glued glitter mist. 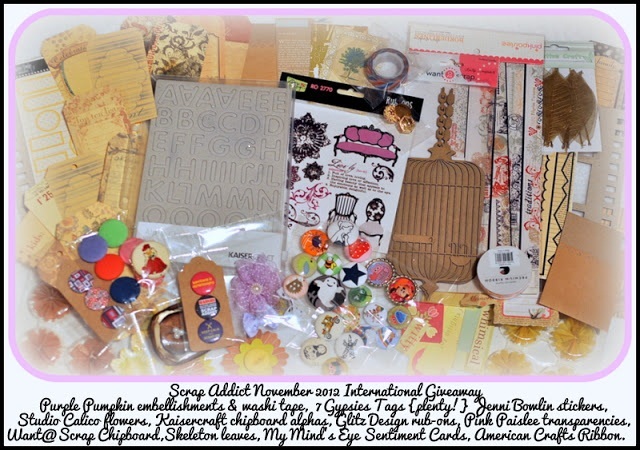 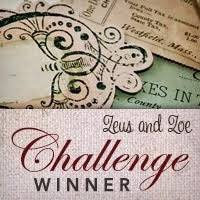 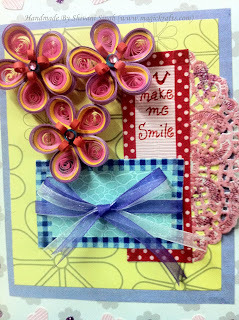 You can also find the handwritten sentiments- Hug Harder,Laugh Louder and Smile Bigger!! 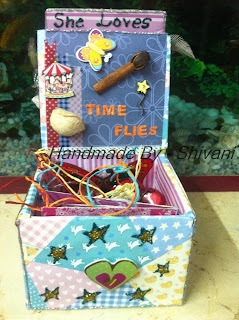 Over the pink strip- We Laugh, We cry, We make Time fly! I tried to use my patterned paper for additional journalising. 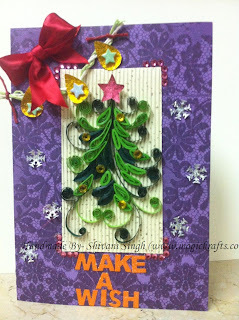 There's sooooo much of fun in this festive season....why can't v celebrate them in allllll the 12 months!!!! I'm completely lost in some other world for sure!! 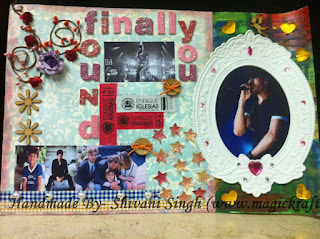 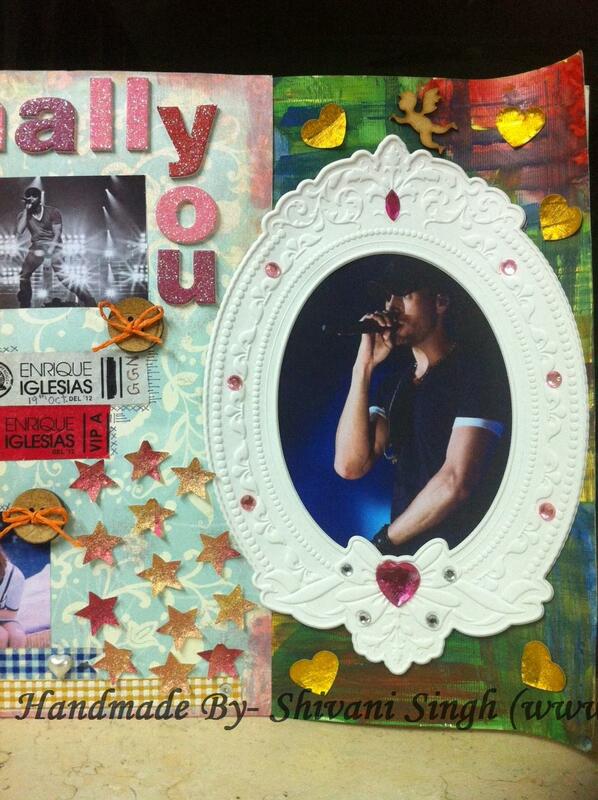 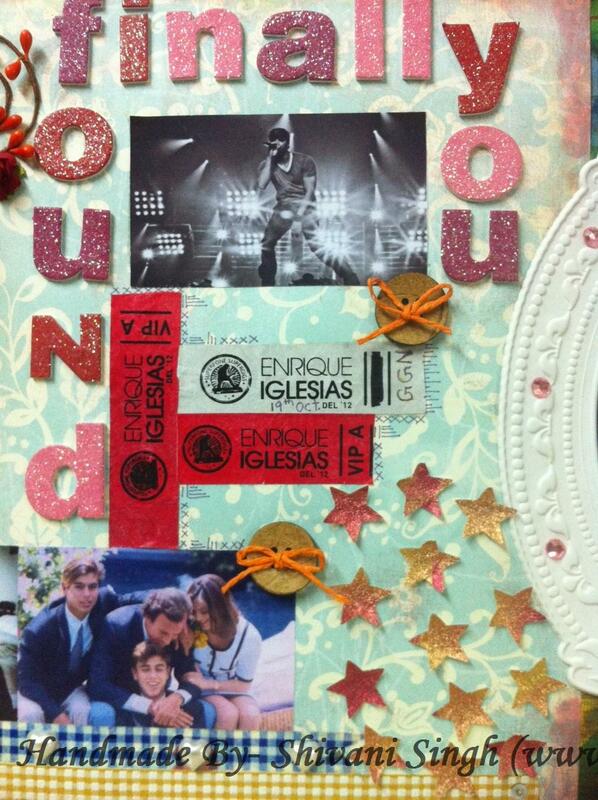 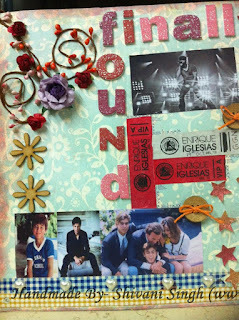 I'm a big Enrique Iglesias fan....n my hubby gifted me a Meet n Greet opportunity with ENRIQUE during this India Tour!!! 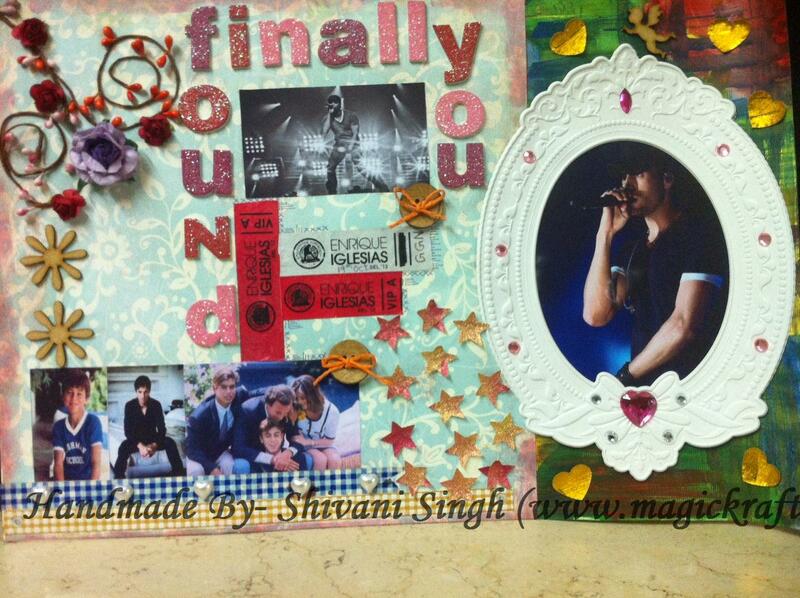 19th Oct2012 is surely the day which I can never ever forget in my life!!! 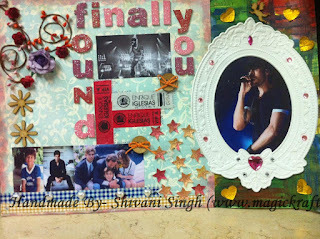 I have made this page for him with the use of diffrent elements. 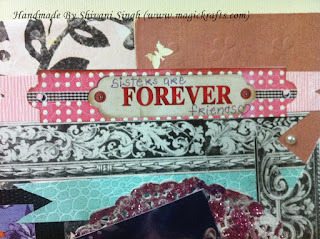 You can c the use of washi tape, some flower embleishments and wodden murals. 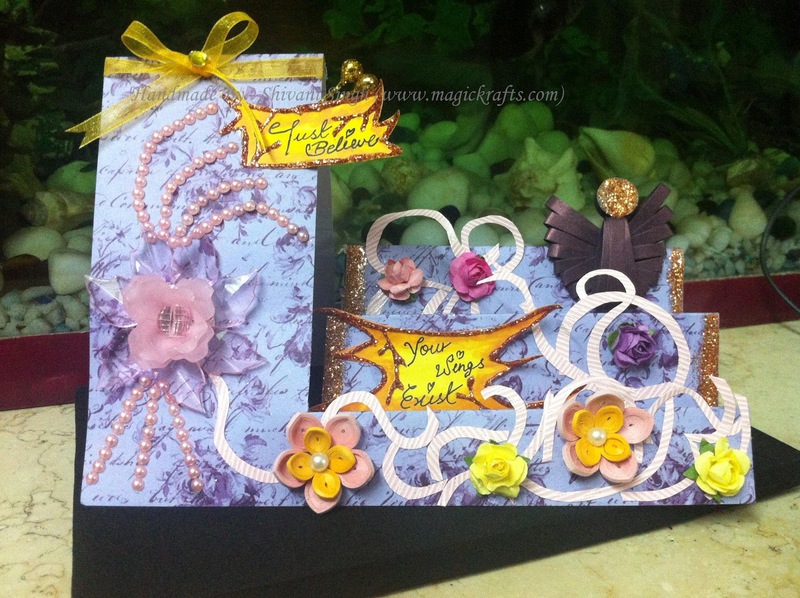 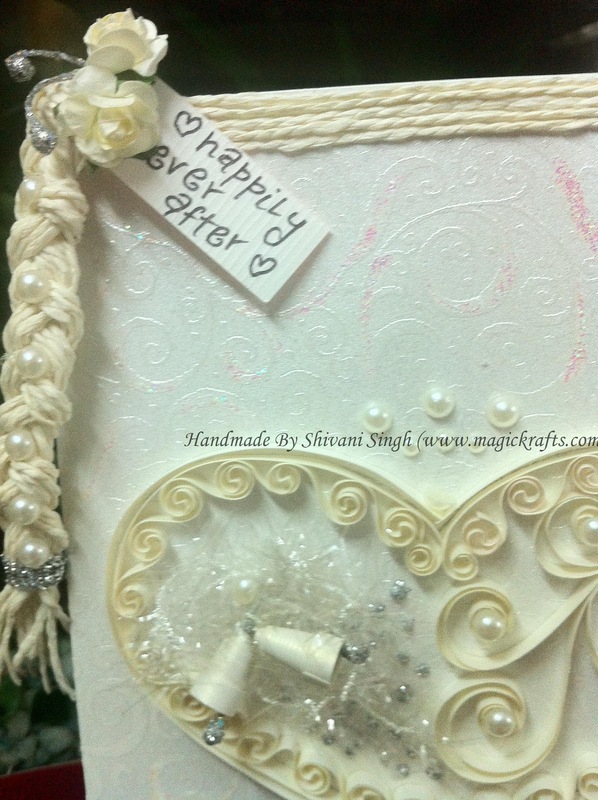 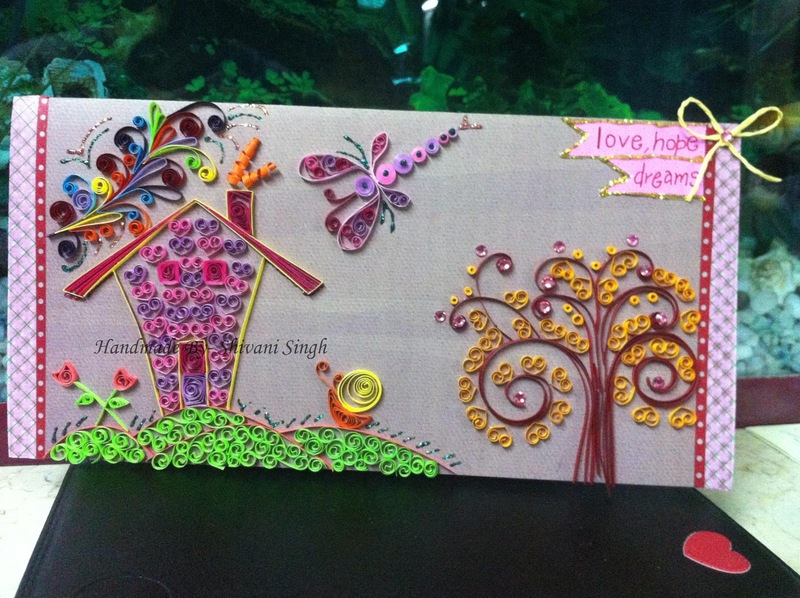 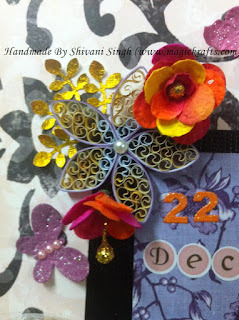 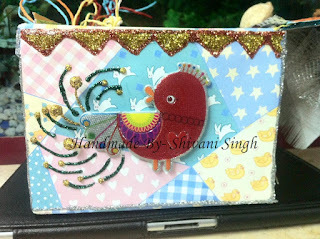 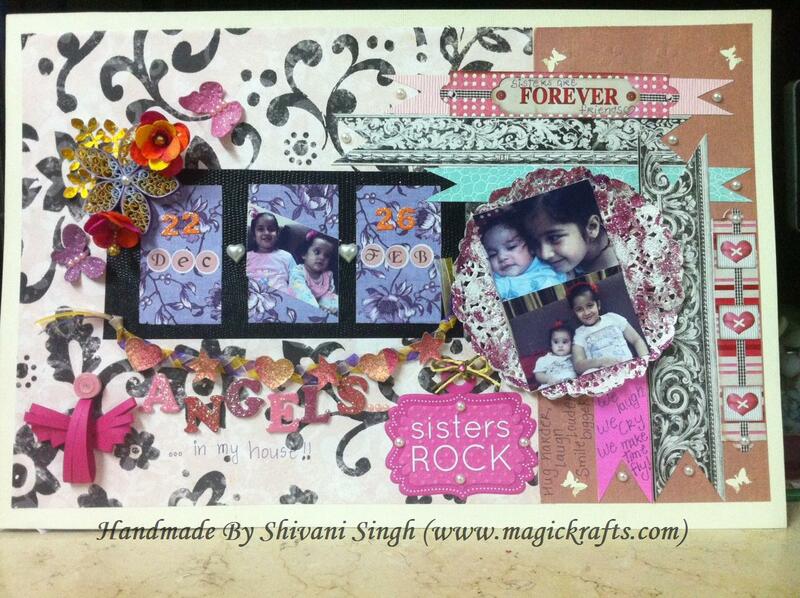 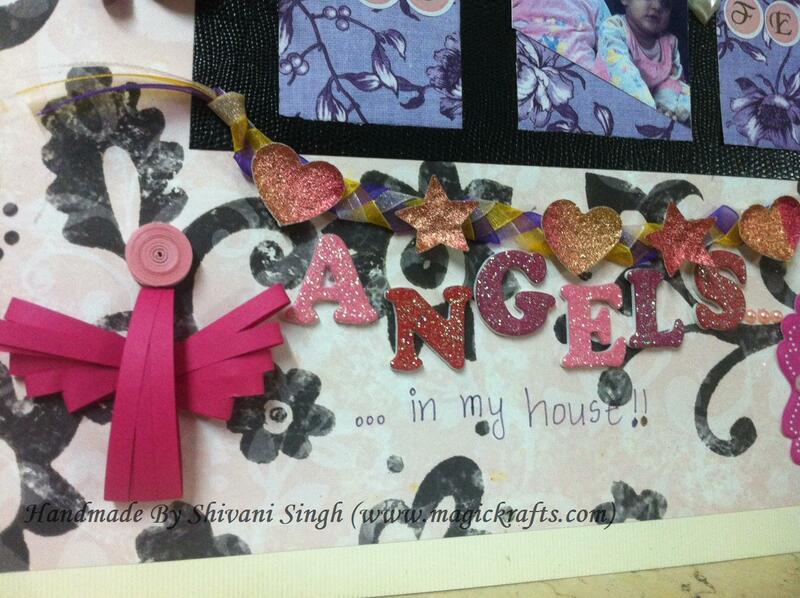 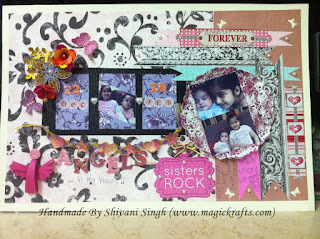 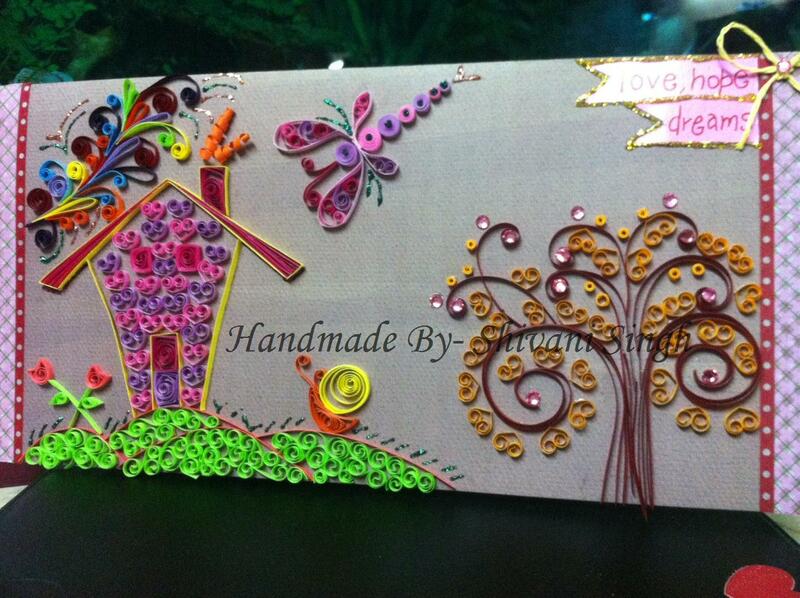 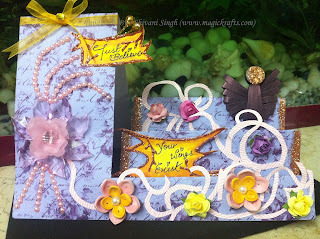 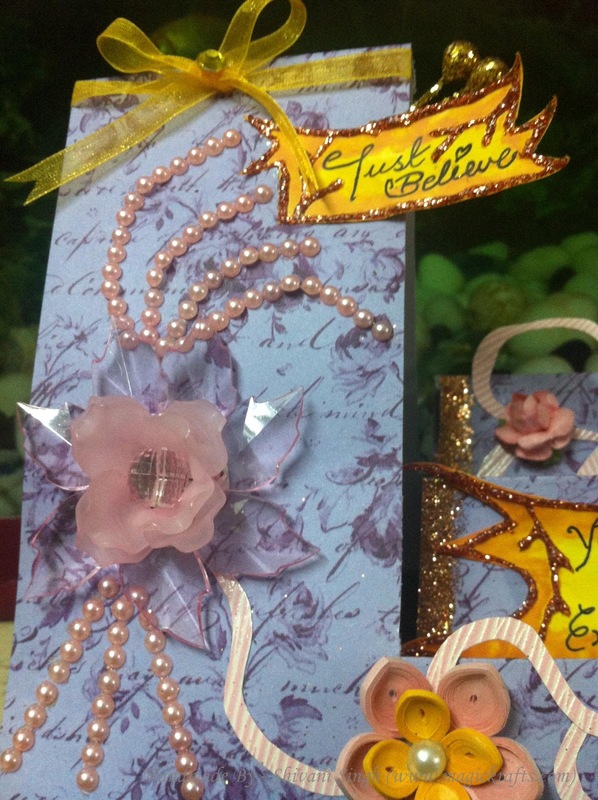 Glitter Elements from Itsy Bitsy...Thanks to Sunehra for sending such beautiful letter elements! I tried to give a water color based background for the frame. On the top u can find a lil Cupid!! I hope you will like it:) Pls be open for the feedback! 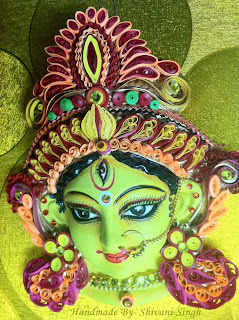 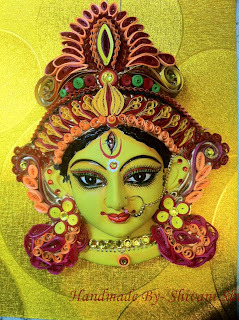 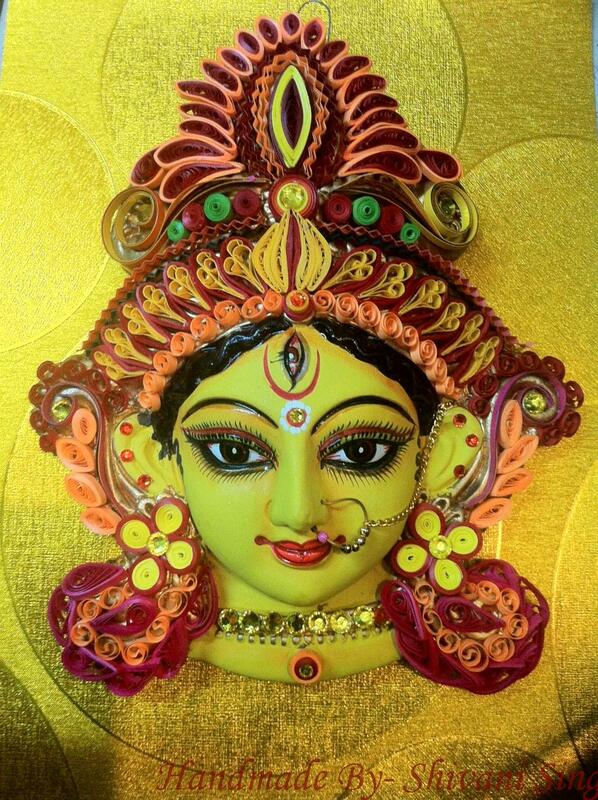 To begin with the spirit of Navratras...I have tried quilling a Maa durga face mask. I have used 3mm pie lane and 2mm quilling strips with a Pie lane self adhesive bling. 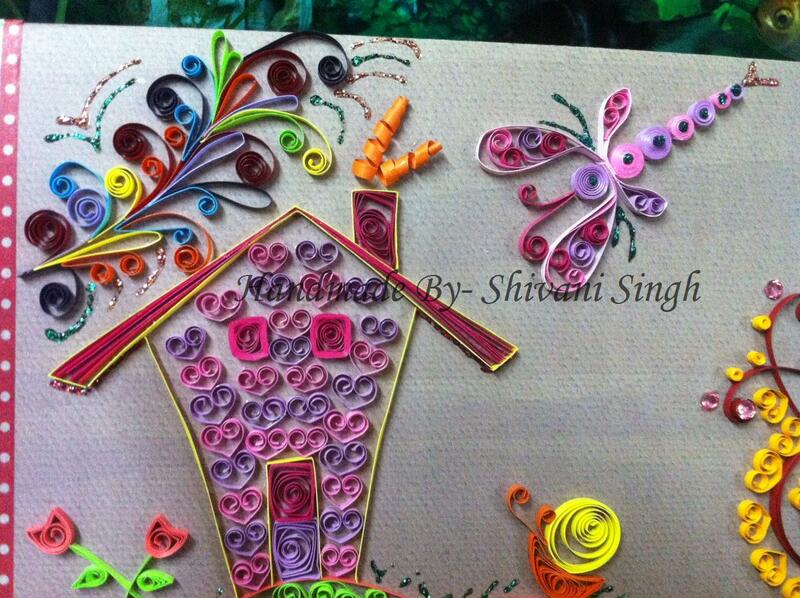 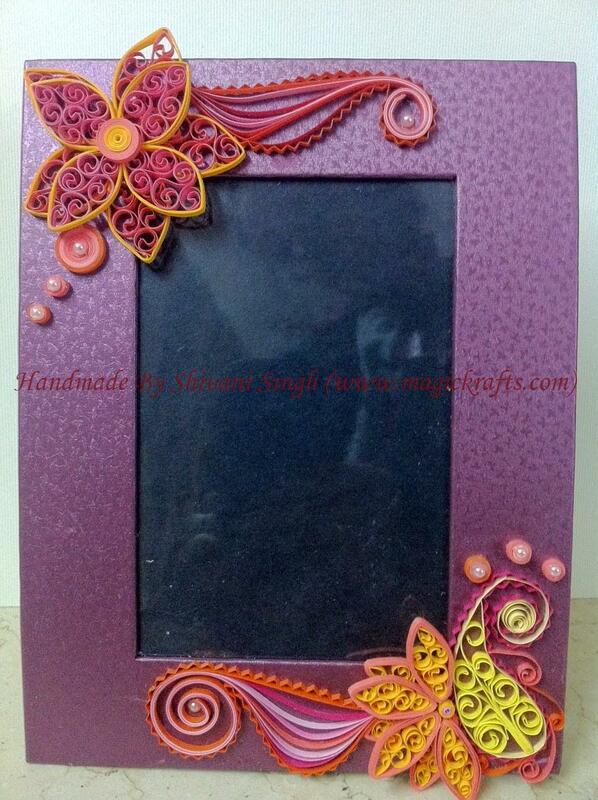 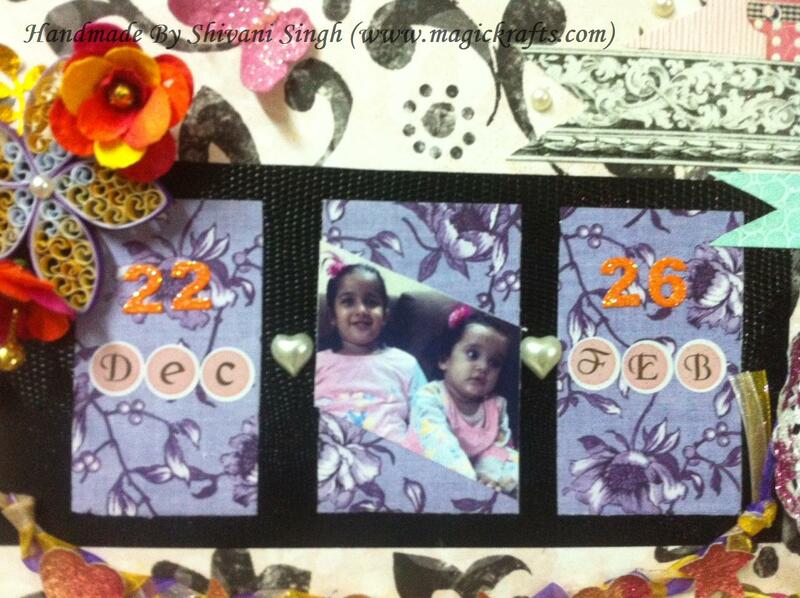 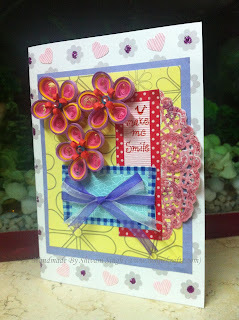 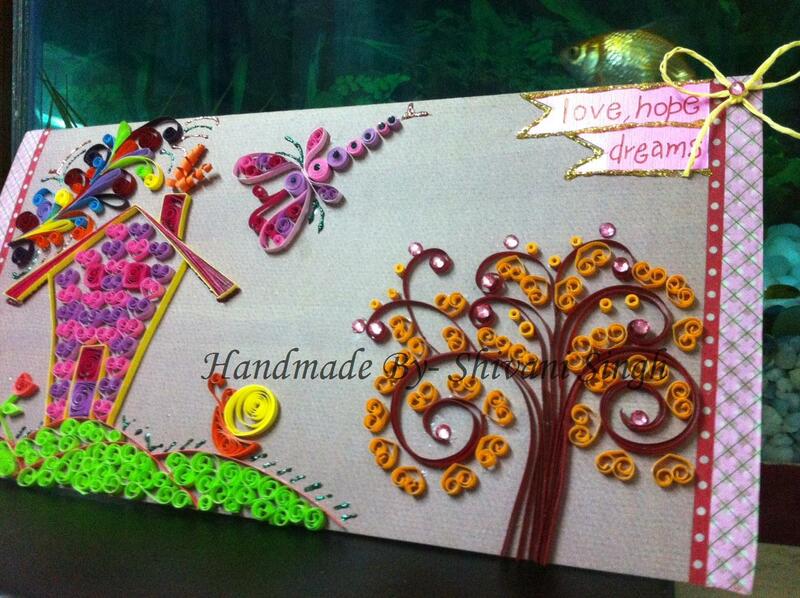 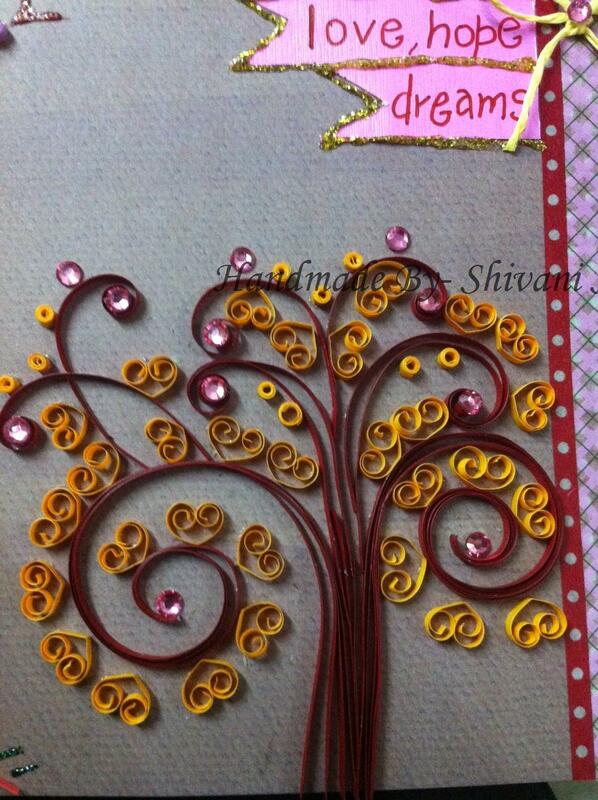 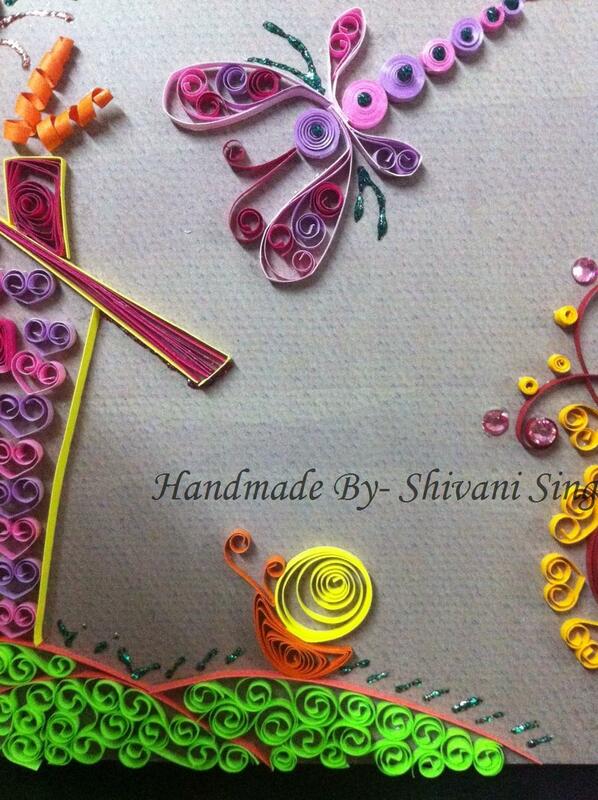 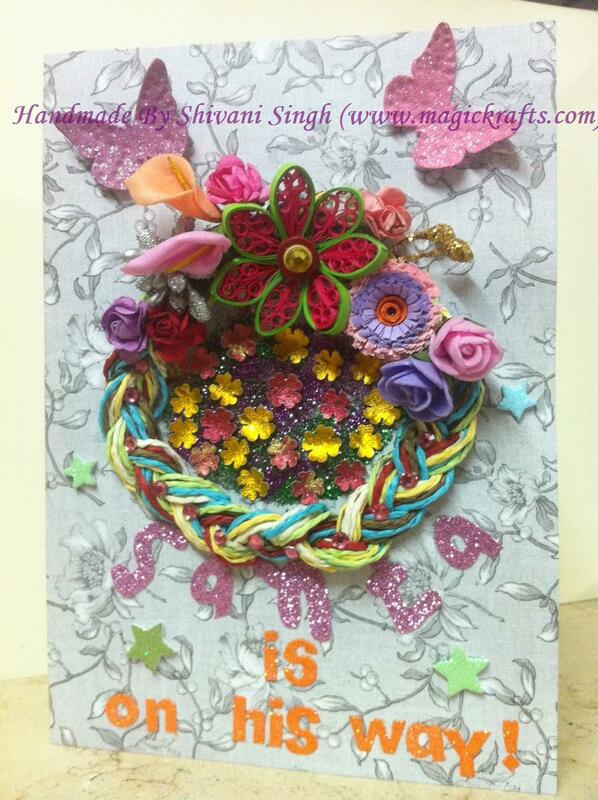 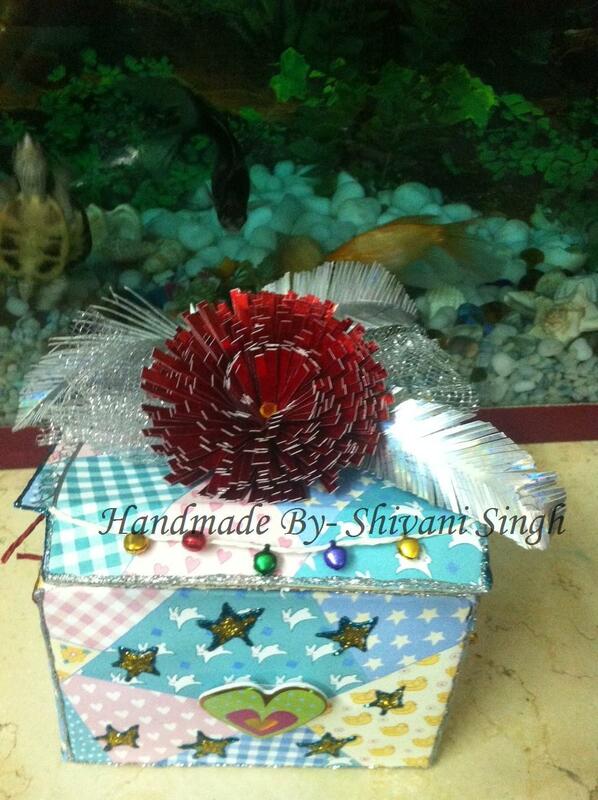 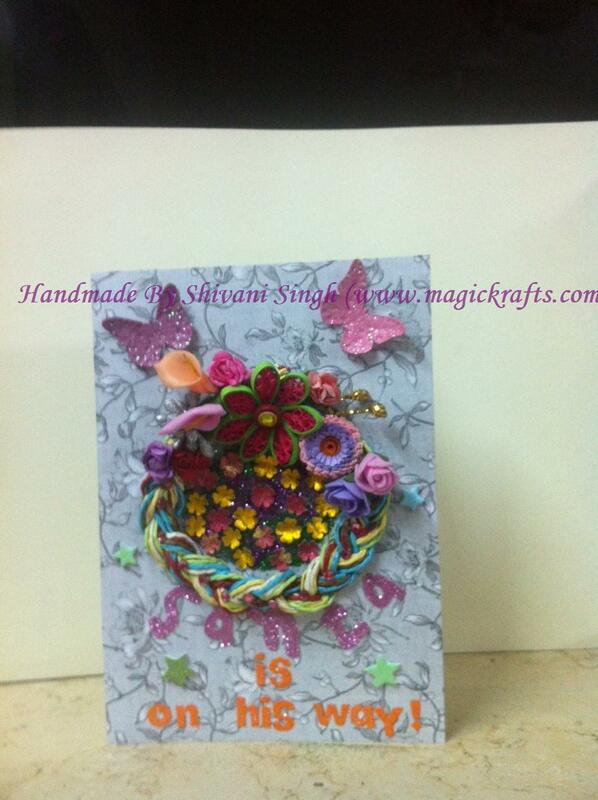 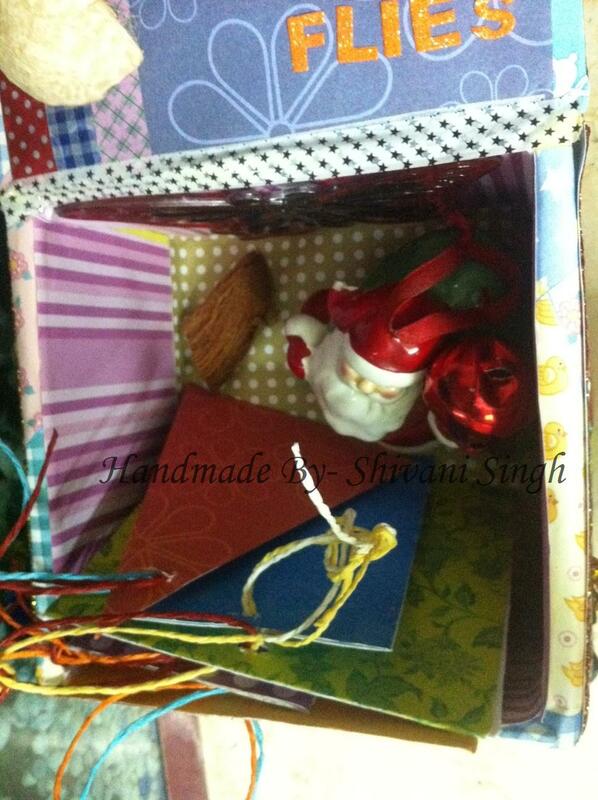 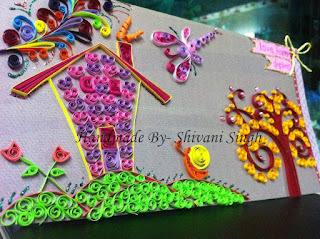 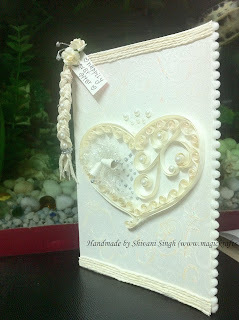 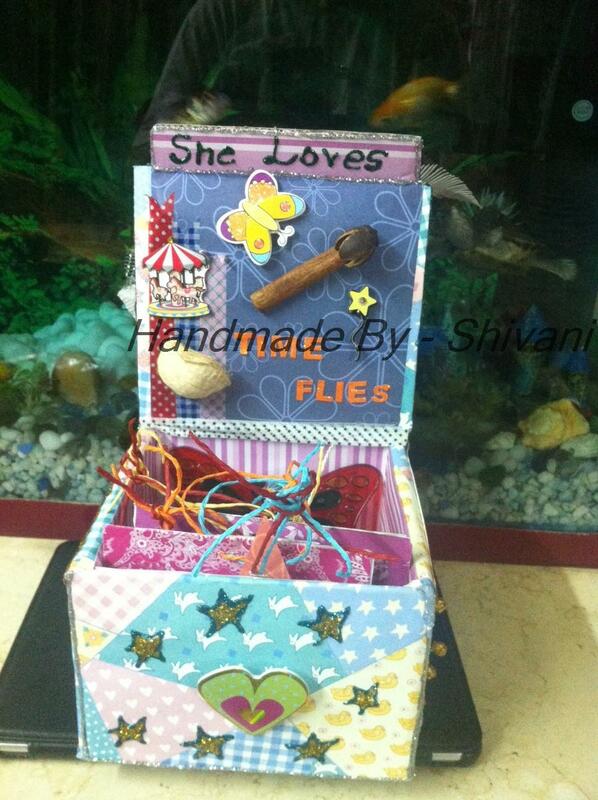 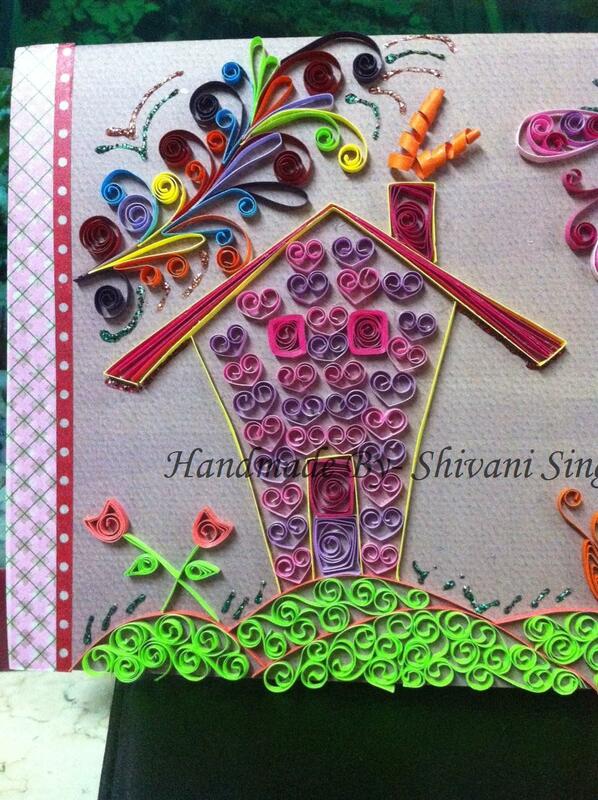 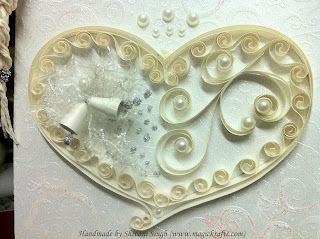 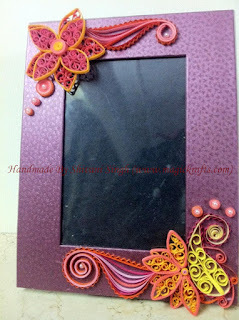 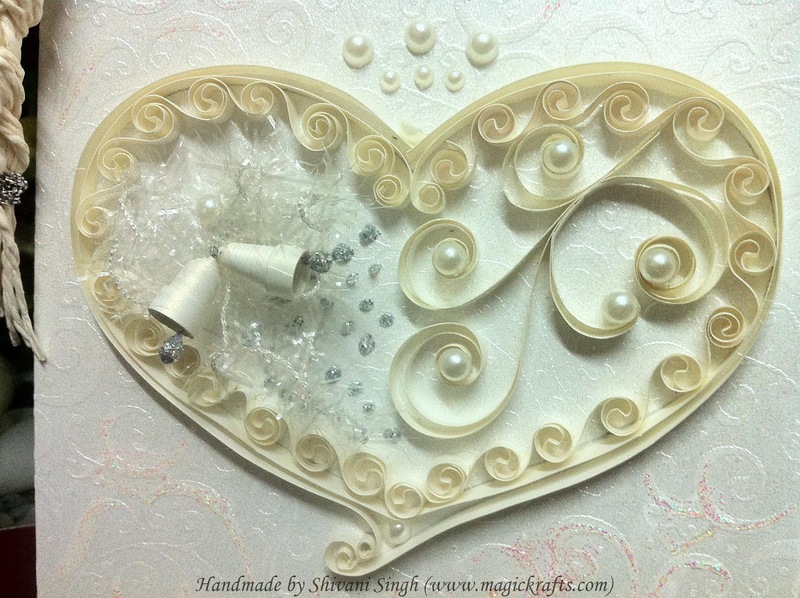 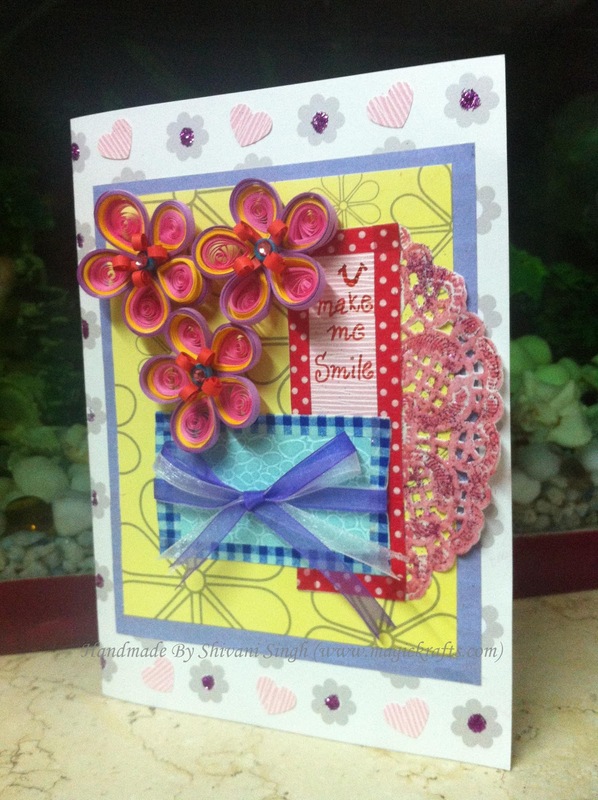 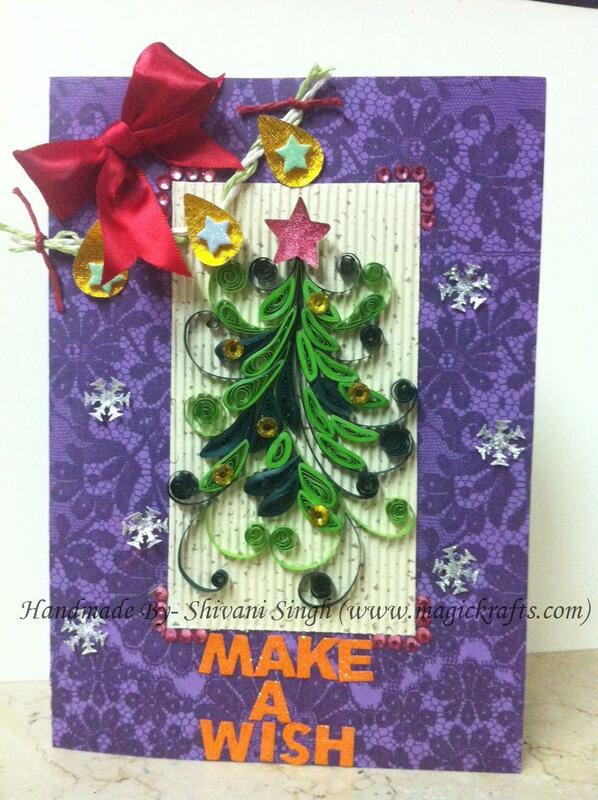 I have also used pie lane craft board and quilling tool.